As the saying goes, “Show me the money!” Keeping a steady stream of cash coming in is critical to any business. If you provide the kinds of goods or services that require you to invoice customers, then listen up. Doing your invoicing efficiently and on time is important. But no matter how efficient you and your bookkeeper might be, you’re probably losing time and money when you do that invoicing manually. For specific pointers, we turned to BizSugar members Isabelle Mercier Turcotte of Leap Zone Strategies and Melody Waterberg of Waterberg & Company Bookkeeping Inc. Both shared some tips. Automate invoicing to make bookkeeping easier and meet cash flow projections. There is a big difference between profitability and cash flow. Your business can technically appear to be profitable, but if you get into a cash crunch because you’re not getting paid timely, then it may not matter. Cash flow is about making sure you can cover your monthly operating expenses in a timely fashion, or don’t have to pull back on growth due to running low on cash while you’re waiting to get paid. So how do you know your cash flow situation at any given moment? That’s where cash flow projections come in. Cash flow projections are an important tool to help you predict the amount of money your business will need to keep on hand for operating expenses until payments are received. Automated invoicing is a key part of the foundation to help ensure that cash flow comes in on time to meet your expense needs. Automated invoicing helps keep your books up to date effortlessly. Remember, any projections, forecasts and plans are a function of garbage in – garbage out. If If you can’t “see” what your cash flow is going to be because of incomplete or inaccurate records, then the projections will be less meaningful. Automate your invoicing for reduced human error and faster payments. In the old days before electronic invoicing, Turcotte remembers slipping a piece of delicious chocolate into every bill she mailed out to a client. “When I got calls from clients or when they didn’t pay on time and we contacted them, they always said the main reason was ‘Oh, did you send me a bill? I didn’t get your bill.’ I’d come back with ‘Hey, did you enjoy my little chocolate? Did you get that? '” she says in a recent episode of Leap TV. Today automated invoicing provide a record for you and your client that an invoice was sent and received, hopefully reducing error and speeding up payment. Use invoicing and billing solutions that tie into backend software, making it easier to handle accounting. As Waterberg explains, the first essential is that the billing solution you choose integrates seamlessly with bookkeeping and other software used in your business operations. “There is little value in saving time on one hand, but then re-keying the same details later. The ease with which the invoicing data downloads into bookkeeping software such as QuickBooks is a good measure of its usefulness,” she writes in her blog on the subject of invoicing systems. Automate your invoicing to make exporting and global trade easier. 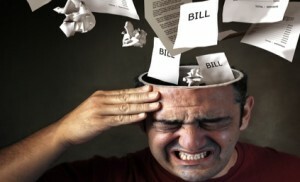 Many invoice automation applications go beyond simple billing. They integrate with other systems such as supply chain, operations and shipping systems, and even online payment methods. Some have multi-currency capabilities built in, making global trade easier. Here Michael Neubarth, Vice President of Marketing for Comparz.com and founder and Director of eMatrix Media Communications, reviews two such options. We hope these tips will help in your efforts to improve your small business logistics through automation. If you’ve had success in automating your invoicing efforts, please tell us about it in the comment section below. Great tips! I’m sure we’d all like to get paid faster, especially this time of year. As an experienced purchaser, I understand the importance of a good cash flow by getting paid quicker and get more time to pay the invoices by your suppliers. If you could negotiate with your vendors to get favorable terms of payment and that the other side of your business organization could automate the invoicing process in order to get paid in a speedy manner, you could have a very sound financial situation. Do you have tips on effective and efficient invoicing and ERP systems? I’m asking myself why I’m not doing this! I’m so on it now. Thanks for the post. Automation is definitely the way to go and it’s important to automate as much of your business processes as possible, including any marketing strategies. It saves so much time and helps you to be a more efficient business owner. Thanks for sharing these valuable tips with our BizSugar community. I appreciate it! An absolute must! I just switched over to a company called WePay and they offer auto invoicing, recurring payments and no monthly fee. They also offer top notch customer support. Cannot recommend them enough.